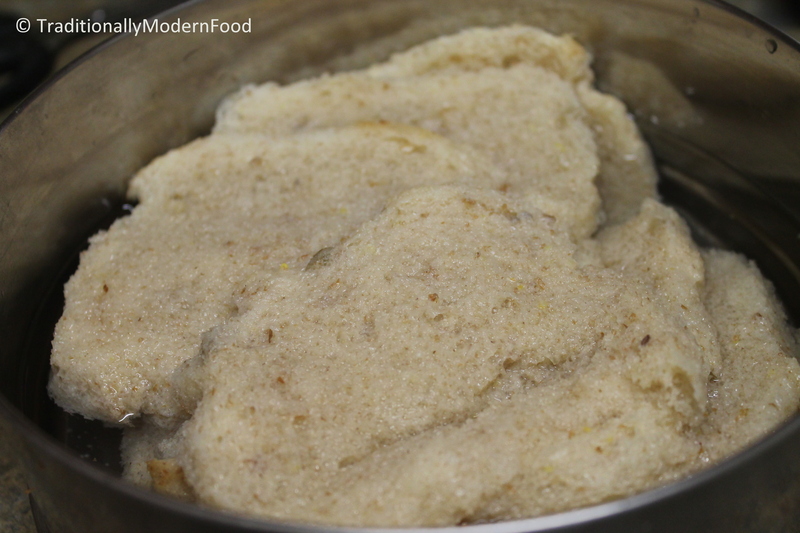 Bread utthappam is a great option when you feel like eating utthapam instantly without idli/dosa batter. This recipe for making bread uttapam is easy and quick, as the batter does not need to be fermented, and all the ingredients are easily available at home. Make instant bread uttapam whenever you like! This is one good way to finish few leftover bread. This bread Uttapam can be made with any type of bread – white, whole wheat or multigrain. Heat the skillet on medium heat and spread some oil on it. Pour ladle full of batter and spread it to make a small and thick bread uttapam or pancake. Flip it over and cook till bread uttapam or pancake becomes nice and crispy from both sides. Serve them with your favorite chutney or sauce. I have never heard of this Vidya, looks quite interesting…. Yummy uttapam. Nice method to use bread left overs. That’s a wonderful snack! Or even a light dinner 🙂 Lovely… Quite a new thing to me… Would love to try sometime soon!!! Bread uttappam looks very nice, new one. These savory pancakes look so delicious! I’ve never had them so I should give them a try! I’ve never seen a recipe like this — and I read recipe books as a hobby. I will definitely try this! Is this your original spin on the traditional? These look delicious! Lovely recipe! Thanks for trying Harsha. Sorry that it didnt come properly. Guess rava is not enough. Try adding tbsp extra. Which bread you used Wheat/ Maida? Which flour you used all purpose/ rice flour. Did you grease the skillet with oil?